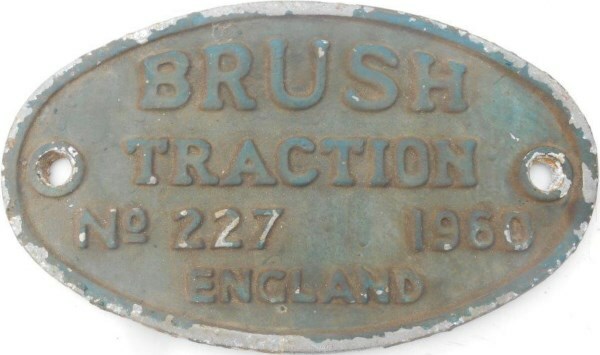 Lot 110 Alloy Oval Diesel Locomotive Worksplate "BRUSH TRACTION - No 227 - 1960 - ENGLAND. As carried by D5627 - becoming 31 203. Ex Loco condition.